Penn discusses what's next for the PR firms at MDC Partners and Stagwell. 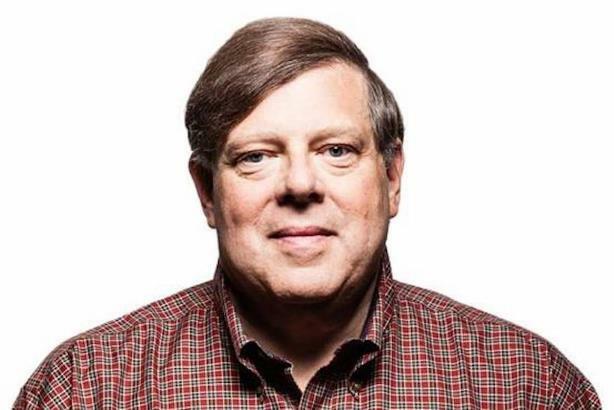 New York: Last Friday, Stagwell Group finalized the deal to invest $100 million in debt-laden holding company MDC Partners that made Stagwell founder Mark Penn its CEO. In addition to some notable ad agencies, MDC is home to PR firms Allison+Partners, Hunter Public Relations, Global KWT, Legend, Kingsdale Advisors, Veritas, Sloane & Company, Exponent, HL Group, and Colle McVoy. Stagwell has also made previous investments in PR. In 2016, it took an minority state in Finn Partners, and announced it would created a conflict shop with Finn called Wye Communications. Stagwell has the controlling interest in that firm. On Monday, Penn, the former Microsoft executive and Burson-Marsteller CEO, spoke with PRWeek about his plans for the PR portfolio of MDC and Stagwell. PRWeek: Are you going to continue to operate Stagwell separately or will you be combining it in some way with MDC? Mark Penn: They are separate. We will look at those firms that are not in competition, which is many of them, and look for collaborative market opportunities. If the heads of those agencies want to do [that] we’ll bring them together. But it is up to them. I can’t predict if they will do it because they are maintained separately. That sounds similar to the agency networks that smaller independent firms sometimes join. We’re not creating a network as of yet. MDC had problems with its balance sheet and mounting debt and was undervalued in the marketplace. So my focus is 100% on fixing on that. What is your assessment of MDC’s PR firms? They are really quite healthy. Everything I’ve heard about the PR side is good. I think we have headliners with Allison+Partners and Hunter. I haven’t yet met with the heads of the various agencies but the stuff I’ve heard is good. Is there a plan to combine Finn Partners (and maybe Wye Communications) with the MDC firms? That’s just a little bit ahead of the curve. We made a minority investment in Finn Partners in order to help it grow. It’s too early to tell whether we will find other synergies. Do you have plans to acquire other PR firms or any digital or social agencies? Again, it’s a little early to talk about acquisitions. I think PR increasingly has moved to having a digital component, and almost all commercial PR does, so the question is how to make sure all the [current] agencies are in tune in with the shifting budgets of clients. The agency holding company model has increasingly come under criticism as clients take work in-house and move from retainers to project-based work. Why are you investing in a holding company? The biggest holding companies were really created in the age of disco. So they are a generation older than MDC, which was created in reaction to the holding companies being too bureaucratic and behind the times as creativity shifted. But Stagwell was created in the age of Taylor Swift, so we’ve been able to take full advantage of what clients are looking for. Both MDC and Stagwell don’t have the same enormous legacy assets that the bigger holding companies are stuck with because they started a generation early and didn’t move fast enough as things changed. Do you think the legacy holding companies will be able to adapt? I think necessity creates movement. I was at WPP years ago and the reason I left was I thought things were moving too slowly. The merger between Burson-Marsteller and Cohn & Wolfe? I proposed it a decade ago. Anyone who has a great book of business can succeed, but it depends on what percentage of legacy assets have more or less work to do in terms of modernization. We have a lot of work to do but less so than the folks at WPP. If people look back at my record at Burson, I was able to make tremendous progress expanding margins and upgrading the talent at same time. We went from not winning awards to winning awards when I left. I look to apply the same philosophy [here].